Melbourne has been tagged amongst the world’s most attractive, livable places. And if ‘livable’ to you means going out and having a good time with the best nightlife in Melbourne, then boy have you got it right! The once quiet streets of the city have turned all jazzy and fun with a plethora of bars, pubs, clubs, discotheques, restaurants, cruises, theatres, and other entertainment options, all of which turn ten times more exciting once the sun goes down! Apart from an amazing nightlife, you’ll be greeted by the most amazing people in the multicultural, progressive city of Melbourne. ‘Melbournians’ are very friendly in nature, unbelievably easy-going, and strict believers of the notion ‘work hard & party harder!’ The smiling faces and hospitable nature of the locals contribute to making this city a rocking place to be in! So, the next time you look up some Australia tour packages, make sure you pick one that lets you perfectly experience this glamorous side of Melbourne. How is the nightlife in Melbourne? 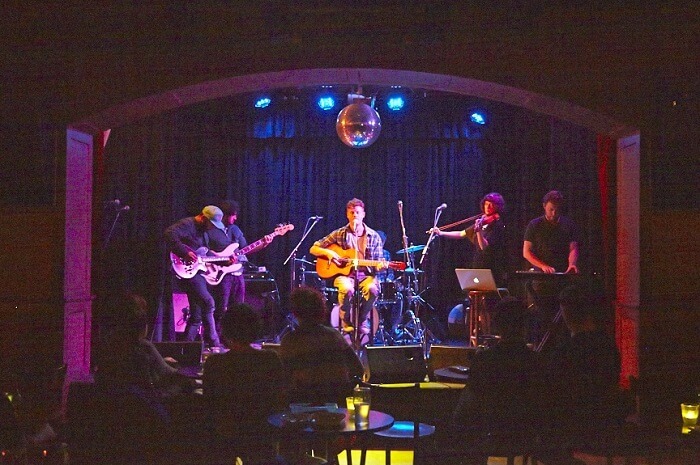 Melbourne nightlife is a jazzy mixture of clubs, bars, diners, entertainment options like movie theaters and karaoke gigs, games such as bowling and pool, and even casinosand jungle safaris. Melbourne has everything from the noisiest of nightclubs with some of the world’s hottest celeb musicians gracing the DJ decks, to the quiet pubs and bars for after-work drinks and hearty conversations with friends, or even strangers! 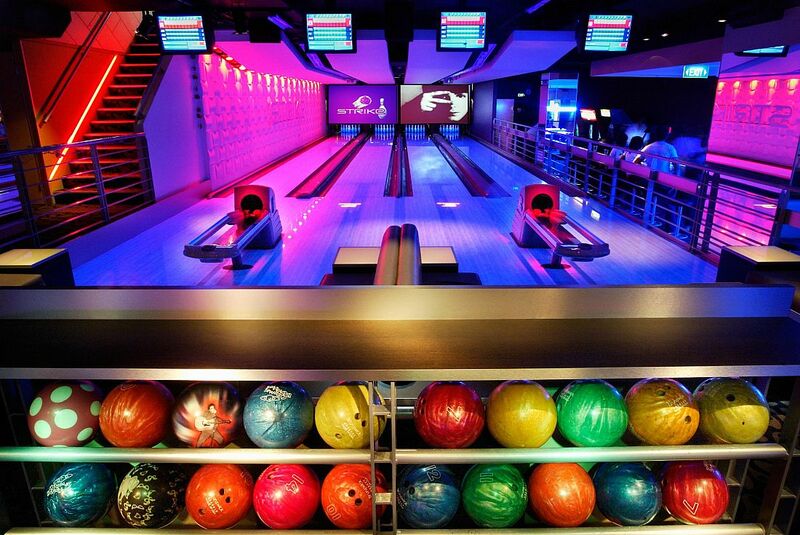 Apart from the usual party havens and drinking hubs, the best nightlife in Melbourne also incorporates late-night gaming alleys with bowling, golf, indoor bocce, ping pong, and pool where one can play all night long with their gang. Sports lovers can cheer for their favourite teams on the screen at the many extravagant sports bars in town, while music lovers can sing their heart out in karaoke clubs or dance away during live bandperformances in high-end clubs to turn their evening into a melodious affair. Which are the best late-night diners in Melbourne? Boilermaker is the temple of all whisky and beer lovers in Melbourne. 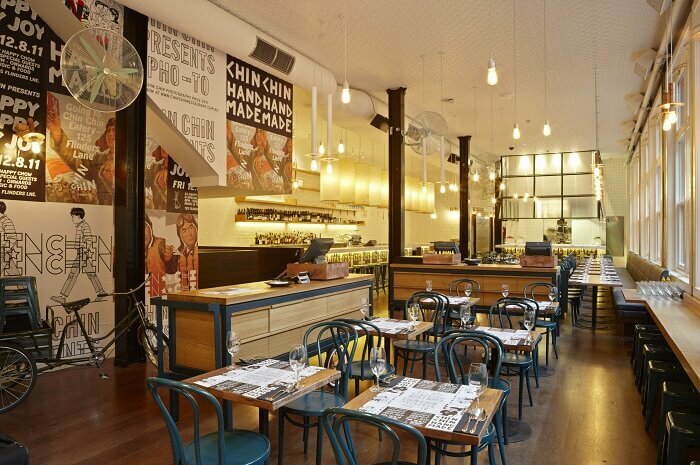 Located in the most happening hub of the city, it serves lip-smacking delights like charcuterie plates, ploughman’s platters, maple-glazed banana chips, prosciutto-topped toast, cheese boards, and more which comes saddled with, obviously, whisky and beer! It’s one of the most rocking places to visit in Melbourne at night for drinks and snacks with friends. You’ll first be bowled over by its hip ambience before you get a taste of the most delicious items served on your platter from a remarkably extensive menu crafted by the best of chefs in town. The amazing wine bar at this upmarket cafe is the perfect place to end a tiring day with a glass of fine wine in your hand! If not wine, then you can gorge on delectable snacks like Golden Fields’ double cooked duck buns, Cumulus’ anchovies on toast, Roast Potato, Foie Gras, Waffles, and a mouth watering 800g Rib Eye Steak On The Bone. Craving Thai food in Melbourne? We got you covered! Toff’s commendable selection of sharing snacks like Thai-influenced dishes like curries, broths, relishes, and skewers, are a big hit among the night crawlers of Melbourne. Designed as an old train carriage with private compartments or ‘booths’, the cafe has an upbeat atmosphere that turns all the more fun at sundown. Thanks to its cosy, ‘private carriages’, dining at Toff is among the most romantic things to do in Melbourne at night. Don’t miss out on their famed yellow curry with tofu and mushroom dumplings & their smoked eggplant with tomato and banana chilli salad, all spiced to perfection! 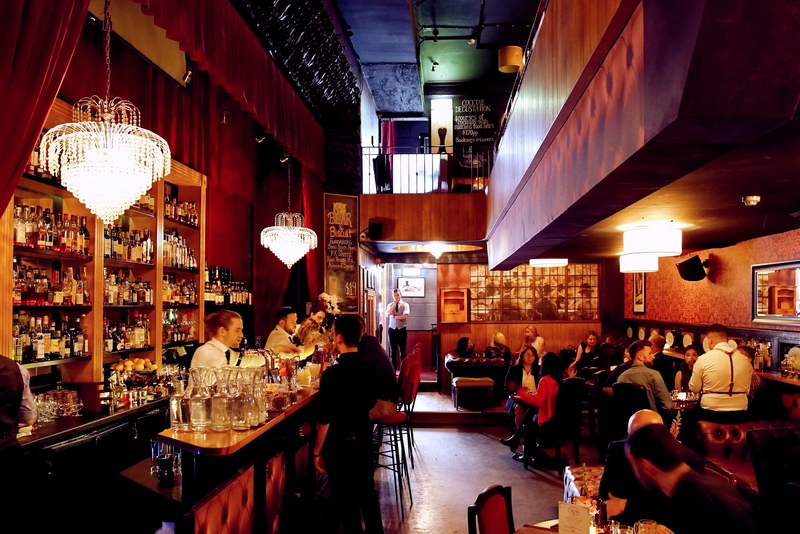 Which are the best bars in Melbourne? This elegant gem in Exhibition Street take the art of cocktail making very seriously! Setting high standards for cocktail making since 1930 (the year the term ‘cocktail’ was invented), the talented chefs of 1806 work hard to provide you the most delightful of fusions in your glass. 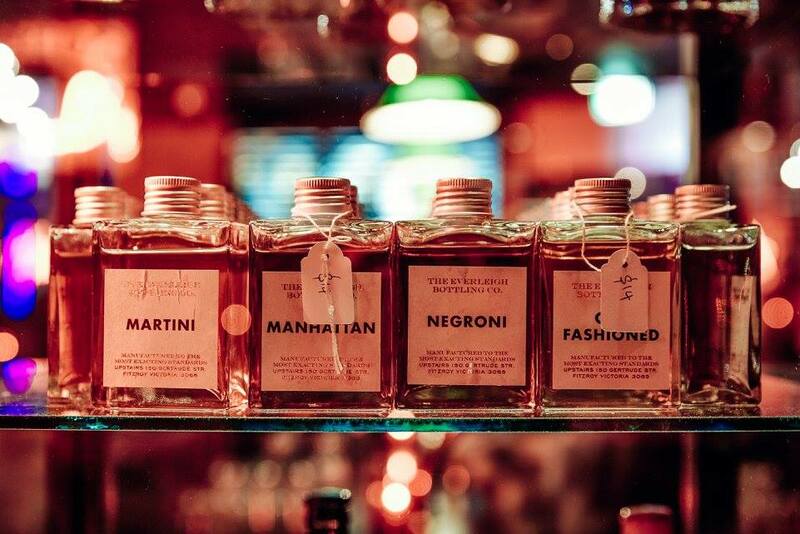 If not cocktails, you can revel in their finest selection of wine you may have ever tasted. 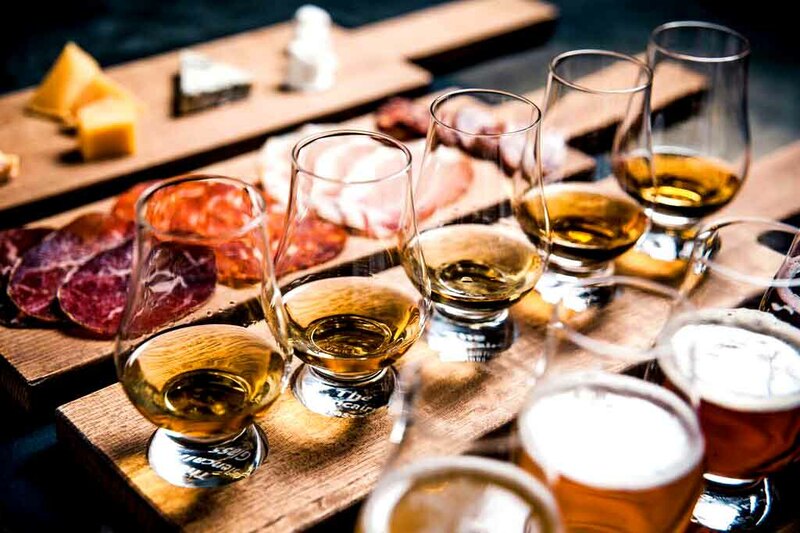 Another highlight of this bar is their custom brewed specialties created in collaboration with the Cavalier Brewery, other their out-of-the-world whisky selection served with cave-aged English Cheddar and Gouda. Just so you know, drinking fans in Melbourne go gaga over this place, partly because of the hot ambience, and partly for their lavish menu with the best of booze in town. The creative visionary behind Bar Ampere, Vernon Chalker, has designed the place in such a way that it exudes vibes of the bygone era and at the same time introduces you to the future! And judging by the frenzy you’ll come across here every evening, he seems to have pulled it off quite well, so that one can enjoy the best nightlife in Melbourne at this kooky bar. Showing off their tag of the Best Party Bar at the 2016 Bar Awards for Melbourne nightlife, Heartbreaker promises its visitors pure excitement, and delivers on it every evening! With their refined cocktail lounge called The Everleigh, a playlist thumping rock’n’roll hits of 1960’s, rooms dipped in a deep ruby glow, and a window selling takeaway liquor till 11 pm, you’ll surely have the time of your life if you’re in Heartbreaker. So don’t miss out on this louche drinks-only CBD retreat when you’re in town. Which are the best nightclubs in Melbourne? If you’re looking for some serious partying avenues, get to La Di Da across King Street. It may be smaller than most other nightclubs in town, but it surely gets the best of the crowds being the most happening hub around for party animals. Come in on a Friday night and their three rooms of banging music along with a sensual burlesque show will make you never want to leave, while their Saturdays will get you going with a host of DJs and drinks that go easy on your pocket, but not on your wits! Being among the ultimate ‘hipster’ nightclubs in Melbourne requires efforts and dedication, which is why Loop Project tops that list. You’ll find more Vj’s than DJ’s engaging the crowd in lively music while you groove to exotic beats and burn the small, yet pumping dance floor with your moves. Other than the music, what makes this place a rage among party goers is the delicious range of cocktails and indoor and outdoor chill out spaces. The club is also famed for hosting documentary screenings early in the evenings as well as on weeknights. Be it an 18-year old college student or an office goer aged 40, you’ll find clubber of all ages and booze preferences at Revolver. 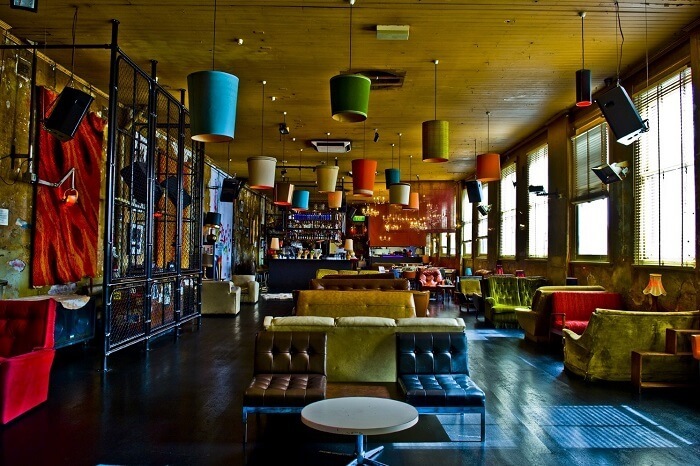 This classy all-night party locale offers the best nightlife in Melbourne no matter what day of the week it is. 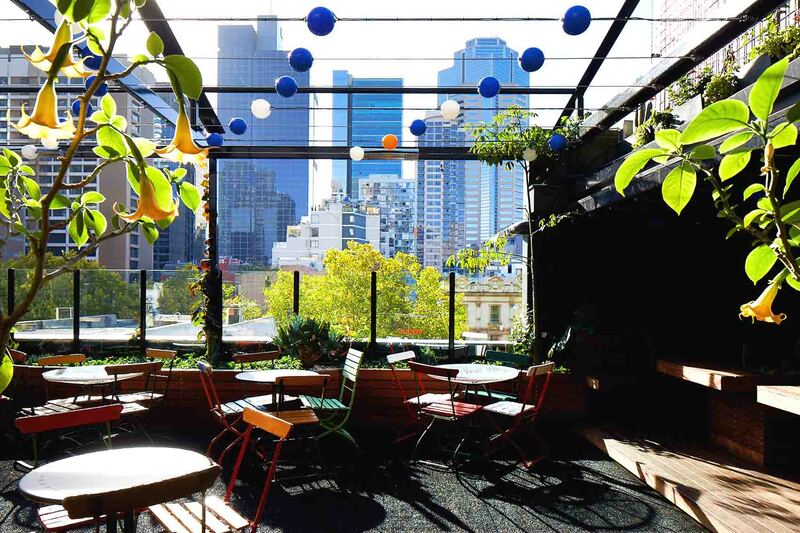 It has an absolutely unbeatable music, ambience, decor, and an extensive fare, the reason why Revolver is among the best places to visit in Melbourne at night and starts overflowing with new as well as returning visitors as soon as the sun has set. On your visit here, don’t forget to try the heavenly Chapel Street’s fast food and brekkie fry-ups. Which are the best vegetarian-friendly pubs and bars in Melbourne? As established, Melbourne doesn’t disappoint any serious night dweller or party animal, not even the vegetarian ones! 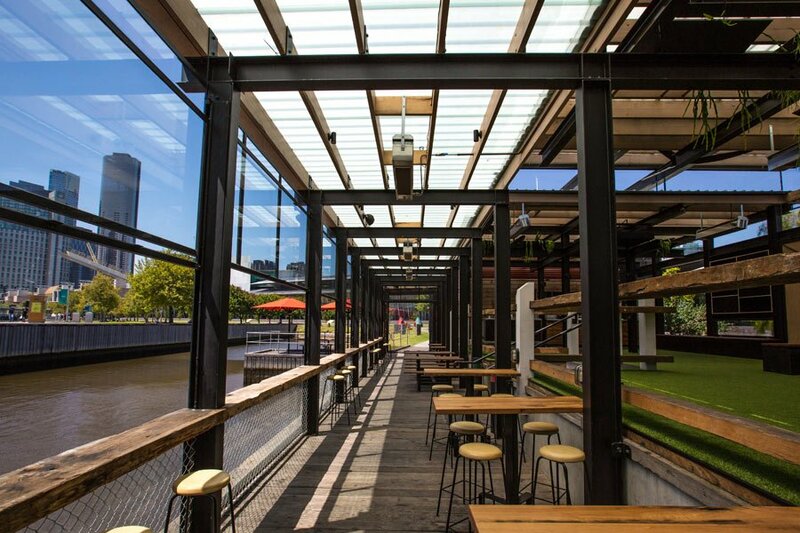 And riverside Pilgrim happens to be among the best nightclubs in Melbourne providing sumptuous vegetarian-friendly goodies to its visitors pertaining to all dietary persuasions. Even when most of it is vegetarian, the menu is just as extensive as in other bars and pubs around. Everything from hearty salads, cheese oozing toasties, to a glass or two of the best Australian wine is available here to turn one’s evening surreal. Among the plenty vegetarian-friendly places in Melbourne is Cabinet Bar, tucked away in a quiet corner of CBD. The cosy ambience and Swanston Street balcony seating of this place along with an upscale menu attracts a number of couples here for a romantic candlelight dinner date. The vegetarian delights are prepared fresh in the kitchen and include the likes of eggplant chips, pan fried saganaki, fresh fruits, halloumi sliders, and a variety of flatbreads and cheese coupled with some fine wine, to make it downright heavenly! All those looking for classic meat-free dining options must visit to The Boatbuilder’s at least once on their Melbourne vacation. 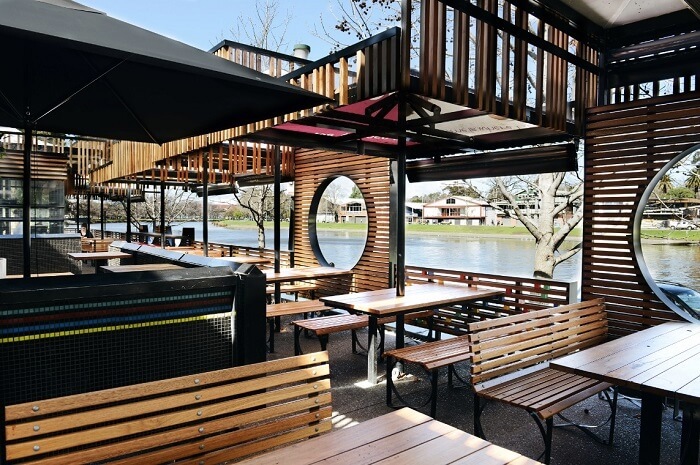 The elaborate vegetarian-friendly menu of this place, along with its provision for riverside dining, make it the perfect spot to hang out with friends and family. Watch the the jolly city life go by as you sit, relax, and feast on a variety of delectable fare and wine here. Veg and gluten-free delights like the warm potato salad, harissa-spiced cauliflower popcorn, buckwheat hotcake, sevens creek wagyu burger, and grazing platters filled with delicious cheese are sure to blow your mind! What are the fun things to do in Melbourne at night for non-drinkers? Hidden away in a tiny alleyway, this place is a shrine for all night-owl music lovers in Melbourne. 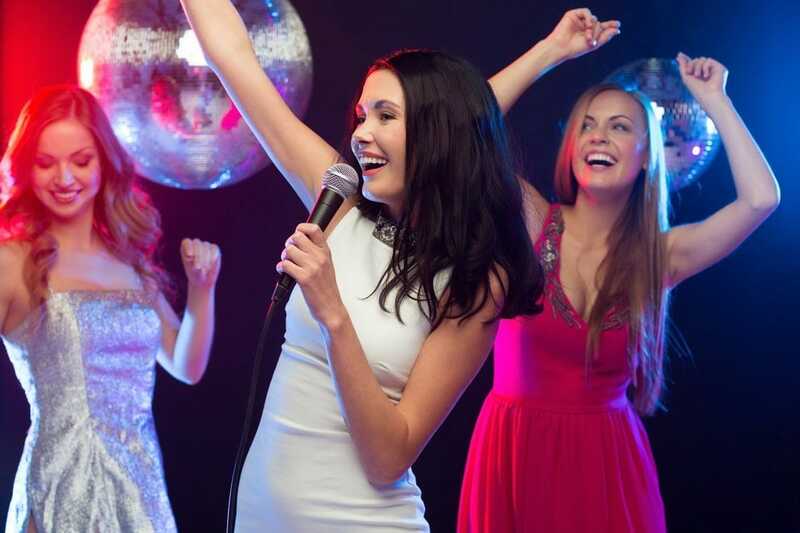 With a fancy karaoke bar up front, an expansive dance floor and plush seats before it, several pool tables at the back, and a friendly staff serving the most delicious of snacks and drinks (both cocktails and mocktails), this posh retreat offers the best nightlife in Melbourne which has everything for everyone. 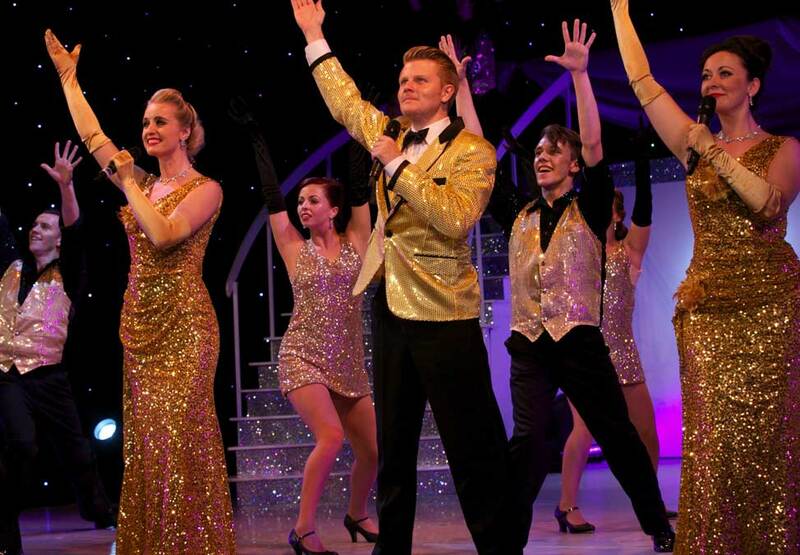 Get to Charltons and unveil your vocal talents with hit numbers like ‘Someone Like You’ and ‘Despacito’. How about ending a stressful day at work with some hearty comedy? Featuring few of the best stand up acts from around the country and overseas, you shall find yourself laughing at the finest of celebrity comedians like Gabriel Iglesias, Dave Hughes, and Tommy Little. 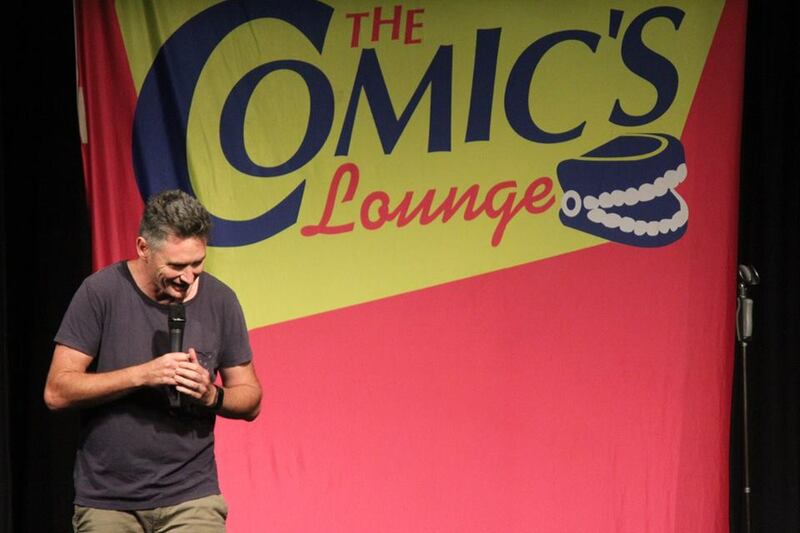 Reasonably priced and highly enjoyable, the Comic’s Lounge is sure to keep tickling your funny bone all night long! If cocktails don’t tickle your fancy, get down to Strike QV for some unlimited fun and let lose the child in you with one of the best Melbourne night time activities. Beat your friends in a game or two of bowling, show off your singing talents with a round of karaoke, challenge your buddies to a laser tag tournament, or race time in one of the themed escape rooms at this upscale hangout place. Apart from an overload of excitement, Strike also has a fully stocked bar and kitchen for those who seek escapism through booze. Make sure you visit during a Happy Hour for the cheapest of fares for alcohol and entertainment. Sit back and relax in an elite horse-drawn carriage as it takes you through the signature sights of Melbourne like Federation Square, Parliament House and St. Patrick’s Cathedral, all lit to sparkle in the city’s skyline at night. Melbourne Horse & Carriage Tours operate 5 days a week and commence from Federation Square opposite Flinders Street Station. Though the activity may seem cheesy to many, it’s a hit among couples and families with kids. Moreover, it’s better to see the city in a vintage carriage than on foot or in shady taxis, right? Imagine enjoying a luxurious meal on the decks of the grand Spirit of Melbourne cruise with your beloved while the sparkling night-lit views of the city and its skyscrapers whiz past you. Trust us, it’s much more magical than it sounds! The 4-course dinner menu ranges from balsamic glazed smoked lamb, shredded chicken with glass noodle, prawns and scallops for starters, with chargrilled chicken breast, pan fried beef eye fillet, Portuguese lamb shank, and crispy skinned Moroccan salmon for main course. With the perfect combination of luxury, scenic views, food, and romance, a dinner date aboard this cruise is among the most romantic things to do in Melbourne at night and will surely sweep your maiden off her feet! The Werribee Open Range Zoo located on the outskirts of the suburbs of Melbourne is a popular destination for adventure seekers, wildlife lovers, and families with kids. Though a daytime safari tour means you can spot a number of animals in this park, it is equally fun at night. Your overnight safari will let you first witness a gorgeous sunset while you sip on fresh drinks and canapés, then you can get up and close to some of the park’s animals like giraffes before proceeding for a lavish dinner. It’s one of the best Melbourne night time activities where you get to camp under the stars with a bonfire, roast marshmallows and nibble on fresh cream scones, and sleep in an open range ‘villa’. Don’t you wish to wake up to mesmerising sights of giraffes and zebras grazing outside your window? The largest casino in Australia, Crown Melbourne is home to three hotels, numerous world class spas, a bustling casino with almost every game you could think of, shops, nightclubs, a theatre that regularly hosts live performances by renowned celebs, award-winning restaurants serving the best of international cuisines, and the Crown Sports Bar. Essentially, it’s every sort of entertainment you can dream of, all in one place! 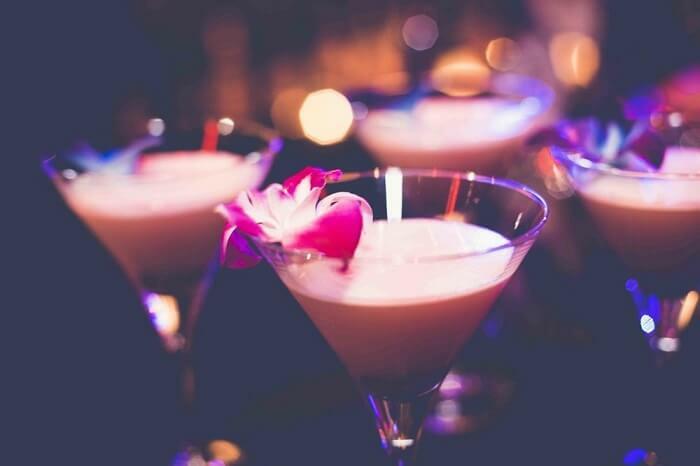 There is something for everyone at Crown Melbourne and you’ll surely have the time of your lives while you drink, dine, relax, gamble, and laugh the night away at this all-inclusive hotspot of Melbourne nightlife. For two whole seasons in a year (winters and summers), the famed Queen Victoria Markets come alive at night and offer the best of savoury delights for food lovers across the city. With the most flavoursome street food, vintage and artisan stalls, live music and street performers to keep you entertained, and a delicious aroma hanging in the air, the atmosphere at Therry Streets turns magical come nightfall. 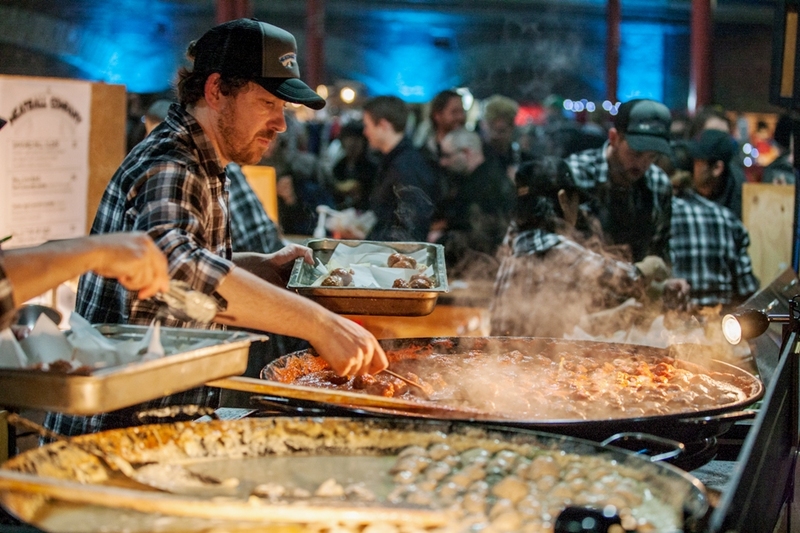 Offering endless options for what to eat and where to buy from like wood-fired pizzas, potato spirals, barbecued ribs, and stir fries, these night markets are the best places to visit in Melbourne at night for all foodies.